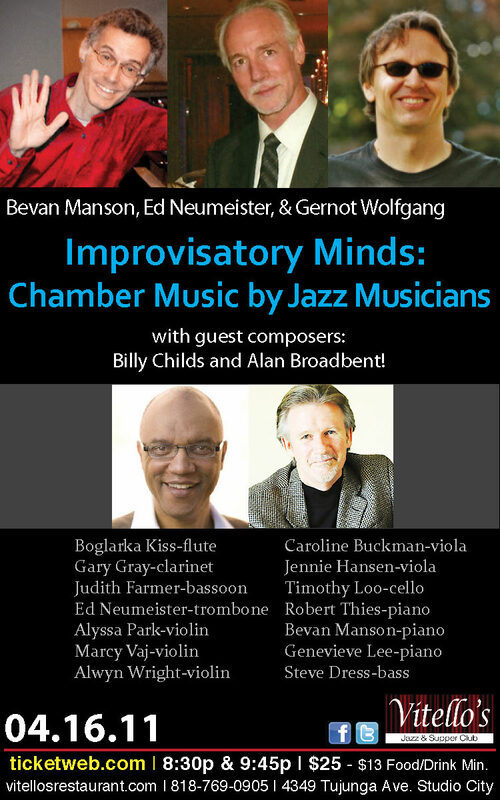 Chamber Music Composed by Jazz Musicians. presented our fourth composers’ concert at Vitello’s in Studio City CA. guest composers Bill Cunliffe and Mike Lang. Saturday October 1st, 2011 at 8 pm. and a special guest artist. Gernot Wolfgang’s “Thin Air” for String Trio. 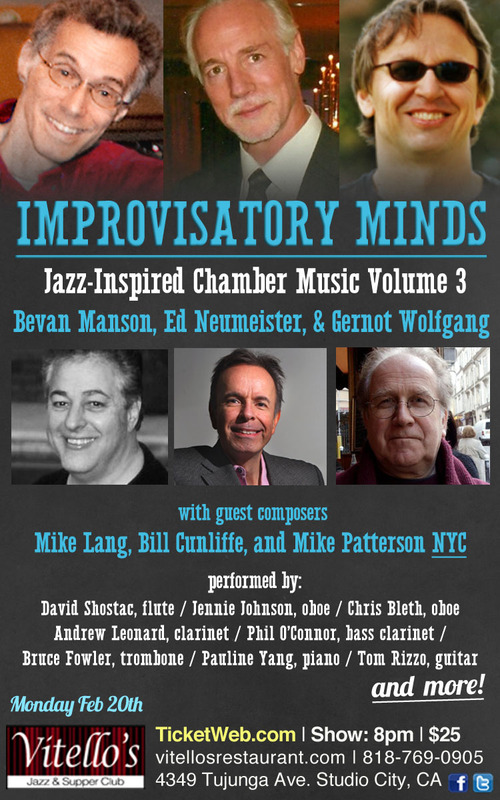 With works by Vince Mendoza, Clare Fischer (premiere), and the vibrant pianist Larry Karush. 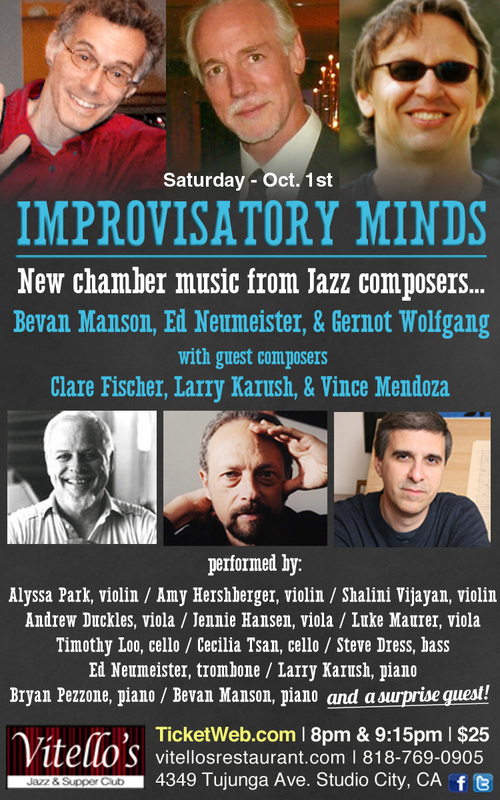 “Improvisatory Minds Volume 1” Debut Concert!